Hot Diggity Dog! Even robots are wagging their tails this month in hopes of it being mistaken for a rain dance! 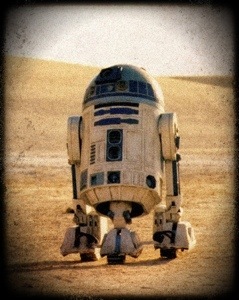 Here’s hoping you have shade, water, and a solid R2 unit.